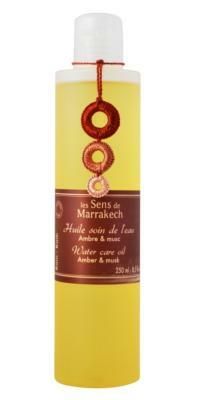 Argan Oil : Soothes , moisturizes and restructures the skin naturally . Sweet almond oil : nourishes and protects the skin from drying. Refined sunflower oil : Rich in unsaturated fatty acids. Softens and stimulates the regeneration of the epidermis. Castor oil : Relieves and strengthens damaged or very dry skin.